Last year we added a garage freezer to our home, and it has made a big impact on what we can freeze and how we do it. 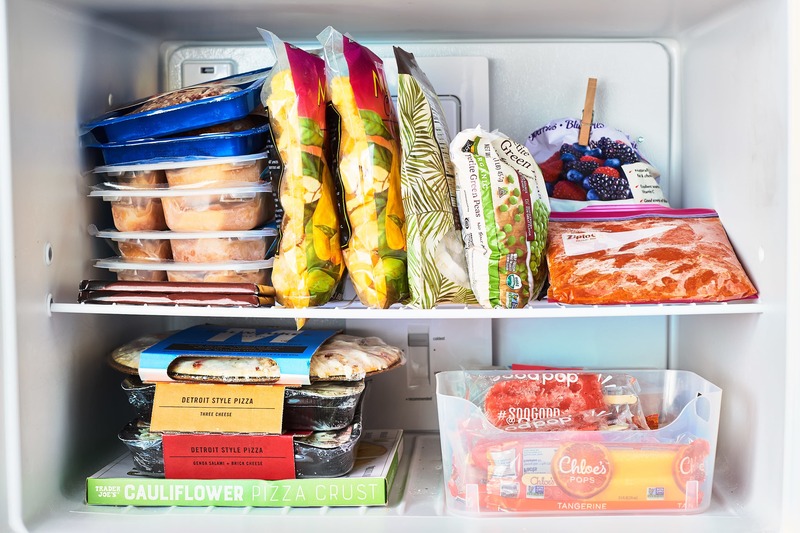 Most of the changes center around storing bigger standbys 鈥� like frozen broth and beans 鈥� in the garage and keeping everyday eats in our kitchen freezer. But it鈥檚 also allowed us add an essential staple to our kitchen fridge. Long before I ever thought cooking would be a career, I worked in a small cafe doing salad and sandwich prep. One of my daily tasks was compiling prep scraps and storing them in a freezer bin. And that freezer bin 鈥� or scrap bag, in my case now 鈥� is something I still keep in my kitchen to this day. Here鈥檚 why I love it so much, and why I think you need one too. Forever in my freezer is a bag chock-full of veggie scraps that some might otherwise throw away 鈥� carrot peels, onion nubs, bits of herb stems, and the like. I also have a bag for meat scraps (leftover bones, trimmings, and so on), and both of these bags are destined for future stock-making. Now, you can totally have just one bag for the same purpose or you can use a freezer-safe airtight container (in my cafe cooking days, we used heavy-duty Cambros with lids) but the idea is this: Keep a couple containers of scraps in the the freezer and anytime you need it 鈥� or when the bags are full 鈥� make stock or broth. 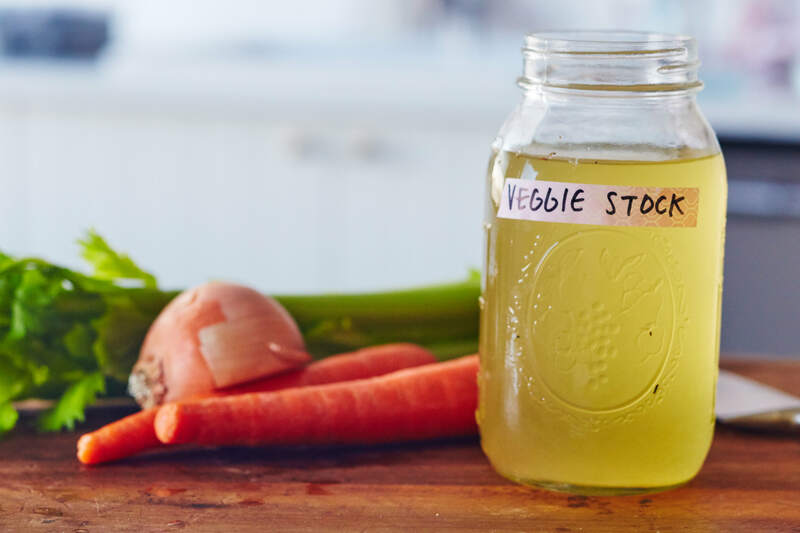 This makes homemade stock virtually free and almost always just some water and a few hours away. It also helps you reduce waste and, ideally, save a few dollars on your next batch of stock or broth. Once you鈥檝e got a good scrap bin going, it can be tempting to just hold onto every little food bit for future stock fodder, but there are a few vegetables to avoid and some protein protocol you want to mind. Onion nubs, carrot peels, and celery butts are obvious choices, but don鈥檛 overlook the ends, stems, and peels of leeks, green onions, kale, chard, peppers, eggplants, or mushrooms. Heck, even corn cobs and parsley stems can go right into that bag. I find onion peels make for a bitter vegetable stock, but not everyone agrees on that point. But do skip on other vegetables that turn bitter in a long, slow simmer like Brussel sprouts, broccoli, cauliflower, turnips, and artichokes. 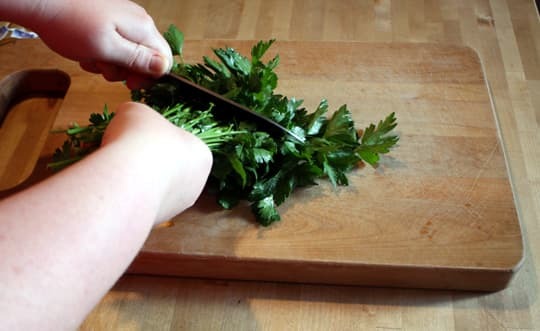 As for meat scraps, bones make the best stock, but you can also save trimmed fat and the like from big roasts. Avoid any meat or vegetables that have gone bad 鈥� freezing and cooking won鈥檛 save them! You鈥檒l need just 4 cups of vegetable and meat scraps to make about 2 quarts of stock, so get saving and then find a recipe below.